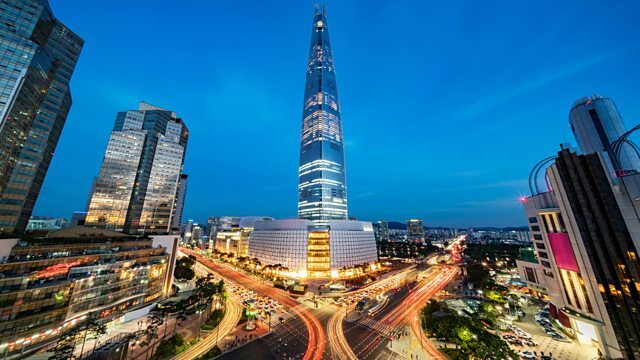 How is data being used to help Seoul run smoothly? And how have 20,000 sensors transformed life in Santander, Spain? How is data being used to help Seoul run smoothly? And how have 20,000 sensors transformed life in Santander, Spain? Both cities have implemented innovative policies that are solving pressing challenges to city life. Presenter Fi Glover returns with two new panellists to analyse and critique the best policies from global cities: Dr Ellie Cosgrave, Director of UCL City Leadership Laboratory; and urbanist Professor Greg Clark. The team scour the world looking for the most inspirational cities, from those tackling environmental issues and urban violence, to encouraging political participation and transforming slums. Are they models other cities should follow?